(Oklahoma City) The Pinnacle Plan draft made public today by OKDHS was submitted to three national experts, termed as “Co-Neutrals”, who are responsible for the approval and monitoring of the plan (Kathleen Noonan, Kevin Ryan, and Eileen Crummy). 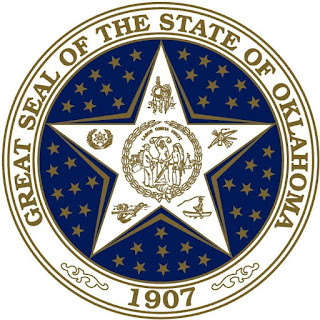 Oklahoma City -- The Oklahoma Department of Human Services (OKDHS) has submitted a first draft of an improvement plan (.pdf, 84 pp, 3.0 MB) for its child welfare program to a panel of three child welfare experts who will be monitoring the state’s improvements over the next five years. The plan is part of a settlement agreement reached in January 2012 in the D.G. vs. Yarbrough class action, civil rights lawsuit. OKDHS agreed in the settlement to make targeted performance improvements related to the way it cares for children in foster care. “We are pleased with this plan and believe it addresses the 15 identified areas of improvement, the anticipated costs, and the agency organizational changes as defined in the settlement agreement,” said Preston Doerflinger, OKDHS interim director. Since the settlement, OKDHS has been developing the improvement plan with the assistance of the outside child welfare experts (referred to as co-neutrals), Human Services Commissioners, representatives from the Governor’s office and state legislature, as well as key external stakeholders. The development of the plan included holding summits across the state with OKDHS child welfare staff and key external stakeholders to solicit ideas about how to improve the system. The Oklahoma Pinnacle Plan is divided into seven “Pinnacle Points” which relate to the 15 areas of improvement identified in the settlement agreement. Under each Pinnacle Point are strategies and initiatives to achieve the improvements. OKLAHOMA CITY – State Rep. Jason Nelson said a Tulsa judge’s ruling against a law providing scholarships to special-needs students is just “one battle in the overall fight to help special-needs children” and vowed to continue advocating for families in need. WHAT: Court hearing of lawsuit filed against parents of special-needs students who applied for scholarships under the Lindsey Nicole Henry Scholarship Act. WHERE: State Rep. Jason Nelson, author of the scholarship law, will be available for comment upon request throughout the day. THE STORY AT A GLANCE: Court proceedings begin Tuesday on school districts’ lawsuit targeting parents who received scholarships under the Lindsey Nicole Henry Scholarship Act. The law provides scholarships to special-needs students, such as those with Down syndrome or Autism. State Rep. Jason Nelson, the law’s author, will be available for comment throughout the day and can be reached at (405) 557-7335 or at Jason.nelson@okhouse.gov. Although both districts could have challenged the scholarship law in court before it went into effect more than a year ago, they didn’t. The schools’ boards eventually voted to sue the state attorney general to challenge the law, but never did. “Rather than work to provide quality educational opportunities for each child, Jenks and Union are attempting to ‘make an example’ of families who already face significant challenges,” Nelson said. “This lawsuit is the worst kind of abuse of the judicial system. “Oklahoma is such a populist state that it is inconceivable that our state Constitution would prefer that government schools make the ultimate decision as to what is best for Oklahoma’s children rather than their parents – yet that is what these school boards and their superintendents apparently believe. They have chosen to sue parents of students with special needs because those parents used the scholarship to provide a better future for their child. The U.S. Supreme Court is schedule to begin hearing arguments in the Patient Protection and Affordable Care Act cases on March 26, 27, and 28. The Court will not allow the proceedings to be televised, but is planning to provide the public with audio recordings and transcripts of the oral arguments on an expedited basis through the Court’s website. The Court will post the audio recordings and unofficial transcripts as soon as the digital files are available. Morning session files should be available no later than 2 pm. The recording and transcript of the March 28 afternoon session should be available no later than 4 p.m. Links to the recordings will be available through links on the Court’s homepage, www.supremecourt.gov. Links to the orders and briefs as well as other pertinent documents are available on the U.S. Supreme Court resource page, http://www.supremecourt.gov/docket/PPAACA.aspx. OKLAHOMA CITY (March 22, 2012) – Claims by school lobbyists that a freeze on property taxes paid by senior citizens would cut school funding are simply false, the legislator who sponsored the measure said today. 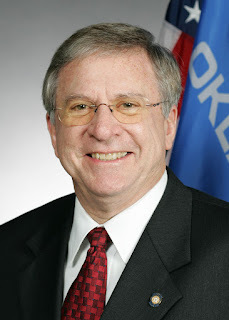 “We ought to expect more from those who speak for our schools than outright falsehoods,” said state Rep. David Dank (R-Oklahoma City), whose House Joint Resolution 1001 would have allowed the people to vote to freeze property taxes owed by seniors at current levels for as long as they own their homes. HJR1001 was amended in the Senate committee to simply raise the current income level that already qualifies some seniors for a property tax freeze. That action came after school lobbyists claimed that the full freeze for all seniors would cut their budgets, even though it was evident that no actual reductions were involved. Dank said the property tax freeze for seniors was promoted by pleas from many seniors who are hard-pressed to live on fixed incomes with steadily rising utility, fuel and prescription bills, while also facing annual property tax increases. In some cases, he said, seniors facing medical costs or the need to place a spouse in a nursing home may be forced to sell their homes because of larger yearly property tax bills. Dank said Oklahoma can remain an attractive location for retirees by being fair to seniors, or it can drive them out with excessive taxes. Dank praised state Sens. Steve Russell and Greg Treat for their defense of the measure in the Finance Committee, and urged senators to reconsider restoring the full senior freeze before they vote on it on the floor. “Someone needs to tell the tax hogs that enough is enough, and that you cannot hound people literally into the grave without a reaction,” Dank said. 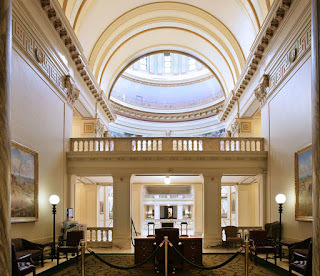 OKLAHOMA CITY – The House Republican Caucus has advanced another round of pro-growth legislation this year as it seeks to build on the achievements of last year’s historic legislative session. March 15 was the deadline for House bills to be heard by the full House of Representatives. In total, the House advanced 313 bills and eight joint resolutions by the deadline. Many of those measures represent continued enactment of the House Republican Caucus agenda, which was set in December 2010 for the two-year 53rd legislative session. The Caucus agenda reflects a commitment to the economy, government reform and modernization, public safety, constitutional rights, traditional values, health and education. Tax reform has emerged as the centerpiece of this year’s efforts to grow the economy and reform government. The House advanced two plans to lower the personal income tax rate and several other measures to reform the state’s tax credit system. The House advanced Gov. Mary Fallin’s income tax reduction plan as well an income tax reduction plan authored by Rep. Leslie Osborn and 30 other House Republicans. “By allowing people to enjoy more of the fruits of their labor, we give people more reasons to work, invest, save and produce at a higher level, leading to a stronger economy for our state as a whole,” said Osborn, R-Mustang. Rep. David Dank led a task force over the interim that studied the state’s tax credit system and found many tax credits have little transparency and accountability and do not generate economic growth greater than the credits’ cost to taxpayers. Legislation that has advanced containing policies based on the task force’s findings includes measures to enact tax credit criteria and reform transferability provisions of tax credits. Other economic measures passed by the House this session include a slate of transportation policies that would repair Oklahoma’s structurally deficient bridges and direct more resources to county road and bridge needs. The House also advanced water policy measures that will allow the state to begin implementing another 50-year water plan by placing an emphasis on water conservation, water infrastructure financing and improved water planning statewide. “We must have water to grow the economy and the state as a whole, so we’ve put the wheels in motion to give the next generation of Oklahomans the water they need,” said Rep. Phil Richardson, R-Minco, co-chairman of the Joint Water Committee. Since House Republicans gained majority status in 2005, they have passed policies every year to increase government efficiency and eliminate waste. Government would continue to become leaner and more efficient under the government modernization policies passed out of the House this year, which include measures to further consolidate duplicative state services and entities, fleet reform, purchasing reform, information technology reform and transparency initiatives designed to make more government information available to the public. “We’re continuing to meet the mandate from voters who have said loud and clear that they expect Republicans to build them a leaner, more effective, more transparent government,” said Rep. Jason Murphey, R-Guthrie, chairman of the House Government Modernization Committee. Another component of the House Republican commitment to government modernization is pension reform. Several more pension reform measures were advanced this year that will continue making the state’s pension systems fiscally sustainable in the long term. “Pension reform has always been and continues to be about making realistic financial decisions so government can pay its bills and keep its promises to workers,” said Rep. Randy McDaniel, R-Oklahoma City, chairman of the House Pension Oversight Committee. Other government modernization measures passed by the House this session include the foundation of governance, structural, resource allocation and personnel reforms to the Department of Human Services, the state’s largest agency. “Our work to address the issues facing DHS is on track and we’ll soon be finalizing plans to help DHS provide better services to our most vulnerable citizens. The better served our vulnerable are, the better off our whole state will be,” said Rep. Jason Nelson, R-Oklahoma City, leader of the House DHS working group and chairman of the House Appropriations and Budget Subcommittee on Human Services. The House also advanced measures protecting and enhancing public safety, including a bill by Steele that was developed through the state’s Justice Reinvestment Initiative. “We passed a pro-law enforcement statewide public safety plan that’s based on data and facts – not emotions, false fears and anecdotes – and affords law enforcement the resources they need to reduce violent crime and create a safer state,” Steele said. House Republicans have long-championed constitutional rights and did so again this session by passing a responsible open carry bill that strengthens Second Amendment rights. “Our concealed carry law works well and we’re confident this open carry law will work, too. It’s practical, responsible and unapologetically constitutional,” said Rep. Steve Martin, R-Bartlesville, the principal House author of the open carry bill. House Republicans also upheld their commitment to traditional values and passed important pro-life measures that hold abortionists more accountable and responsibly regulate drugs used in abortions. “As a pro-life caucus, we’re always going to do everything possible to protect the lives of the unborn and the health and safety of women,” said Rep. Paul Wesselhoft, R-Moore. 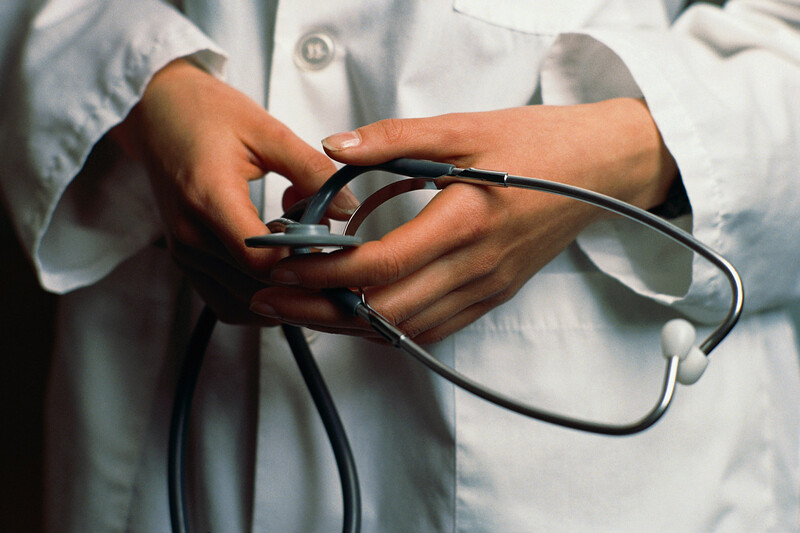 In an effort to improve Oklahomans’ quality of health and access to health care, the House passed a measure to address doctor shortages by creating a new hospital residency training program. “Oklahoma’s doctor shortage is a real problem for the insured and uninsured alike, particularly in rural areas. Improving hospital residency programs is a pragmatic, realistic step the state can take to boost the number of doctors treating patients in our state,” Steele said. Last year was a breakout session for education policy in Oklahoma following the passage of several significant education reforms. House Republicans have since been working with education officials to begin enactment of those new policies. OKLAHOMA CITY – Office of State Finance Director Preston Doerflinger, while assuming a new role as interim director of the Oklahoma Department of Human Services, will remain as secretary of finance in the cabinet of Gov. Mary Fallin. "I am humbled by my appointment to the DHS position on a temporary basis and determined to make a contribution to improvements in the agency that the Commission of Human Services is charged with overseeing," Doerflinger said. "I feel fortunate that Carol McFarland will be able to step in and continue the progress we have made in government streamlining. She has done a great job as transition project manager since four other agencies were folded into the OSF by legislation enacted last year." "Working together with the consolidated agencies, we achieved greater savings than the 15 percent mandate in the government modernization law and are on a course to achieve even greater savings in the future," Doerflinger continued. Under the law, which took effect last August, the Department of Central Services, the Oklahoma Education and State Employees Group Insurance Board, the Employees Benefits Council and the Office of Personnel Management were consolidated into OSF. "As part of my duties as secretary of finance, I will continue to be in contact with Carol and other key personnel of the consolidated OSF," Doerflinger said. "The fact that we have so many capable people at the OSF was a major factor in my decision to accept this interim position." Doerflinger held the elective position of Tulsa city auditor when he was appointed to the dual role of OSF director and finance secretary in January of last year. He said as finance secretary, he would continue to stay abreast of revenue issues and economic conditions and advise Governor Fallin in those areas. "We just had a drop in unemployment as we continue to outperform other states in recovering from the national recession," Doerflinger said. "The governor is striving hard to advance the state economically and I want to do all I can to help. 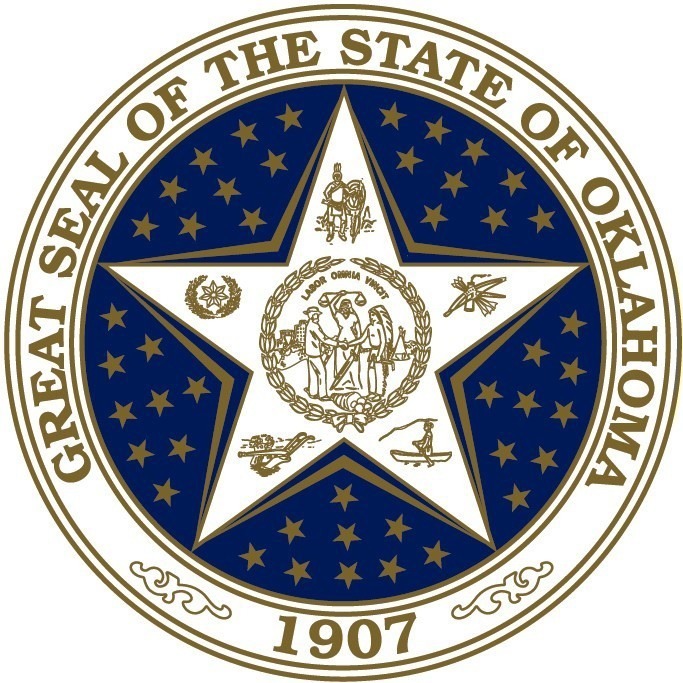 I want to stress that this is a temporary appointment and I look forward to my return to the OSF after a permanent director is selected at the Oklahoma Department of Human Services." Doerflinger informed OSF employees of the developments in an e-mail Wednesday afternoon. "I won't be gone long and am anxious to continue the work we've started," the finance secretary wrote. "Based on the (legislative) session so far, it looks like there are other exciting opportunities ahead. Carry on in my absence and as the saying goes, 'I'll be back.'" McFarland echoed Doerflinger's comments about the quality of staff at the OSF and said her challenge is "to maintain the momentum we have going in creating a "FAST" agency -- flatter, agile, streamlined and technology-enabled." "I will be relying on the experts we have in place in such areas as the budget, state revenue and technology as we move forward and intend to keep Secretary Doerflinger apprised of our progress," she said. McFarland is a certified public accountant and certified governmental financial manager. She came to the OSF from the Oklahoma Health Care Authority, where she was performance and reporting manager. Oklahoma City -- The Oklahoma Commission for Human Services met today in a special meeting and has announced that Preston Doerflinger, Oklahoma Secretary of Finance and current director of the Office of State Finance (OSF), will step in to replace Terri White as interim director for the Department of Human Services. 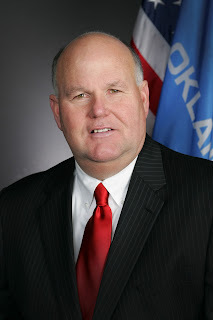 White, who had been serving in the interim post concurrent to her position as commissioner for the Oklahoma Department of Mental Health and Substance Abuse Services (ODMHSAS), chose to resign as interim director following the discovery that a state statute prohibiting dual office holding was silent about positions that are interim in nature. Because the statute does not specifically address the issue of interim status, it is uncertain whether or not the statute would apply in this circumstance. White and the Commission believe that the most appropriate course of action is to be safe since it is unclear as to whether the statute applies. Doerflinger, who is currently director of the Office of State Finance, has agreed to temporarily resign that position to serve in the OKDHS interim role. He only intends to hold the position until a permanent executive director is announced. According to the Governor’s Office, he will be reinstated as the OSF director at that time. White felt that she could not consider a similar action due to the nature of her role at ODMHSAS and the agency’s standing as an integral part of the state’s overall health care system. The department serves over 70,000 Oklahomans a year in need of mental health and substance abuse treatment. Brad Yarbrough, chairman of the Commission, said they understand and agree with Commissioner White’s decision to step down as interim so there would be no question of her integrity, or the integrity of OKDHS, although they are still disappointed to be losing her leadership and knowledge. White has indicated that she will continue to assist the agency in any manner possible and is expected to maintain a consulting role with Doerflinger and the Commission. “I want to reiterate my commitment to assist OKDHS as appropriate during this time of transition,” said White. “The agency and its employees provide vital services to Oklahomans in need every day. I will certainly do everything I can to assist Preston and the agency. “Knowing that Secretary Doerflinger and Commissioner White will be working together on behalf of OKDHS during this time, we feel like we have the best of all worlds,” said Yarbrough. Doerflinger, who has received significant attention for his role in reshaping OSF, says that he welcomes the support and is excited to step into such an important role. The Commission expressed both its appreciation for White and confidence in Doerflinger when the announcement was made at the special meeting held today. Although the change was not planned, it was successfully carried out due to teamwork and partnership by all involved. The Oklahoma Commission for Human Services is actively engaged in a national search to fill the vacant OKDHS executive director position on a permanent basis. The selection process is expected to be completed by June 30, 2012. The Oklahoma Commission for Human Services has called a special meeting tomorrow, Wednesday, March 21 at 1PM to discuss and potentially hire a new interim director. Current Interim Director Terri White was selected by the OKDHS Commission on February 3, at a special meeting of the Commission. White began her official duties at OKDHS on March 1, after former Director Howard Hendrick retired. Since March 1, White has served as Interim Director of OKDHS and continued as the head of the Oklahoma Department of Mental Health and Substance Abuse Services. Brad Yarbrough, Chairman of the Commission, issued the following statement in response to several medial inquiries about the surprise agenda. Discussion and Possible Vote by Commission to enter into Executive Session to discuss the hiring of an Interim Director for the Department of Human Services, pursuant to 25 O.S.2011, § 307(B)(1). Vote to return to Regular Session. Discussion and possible vote to hire Interim Director for the Department of Human Services. 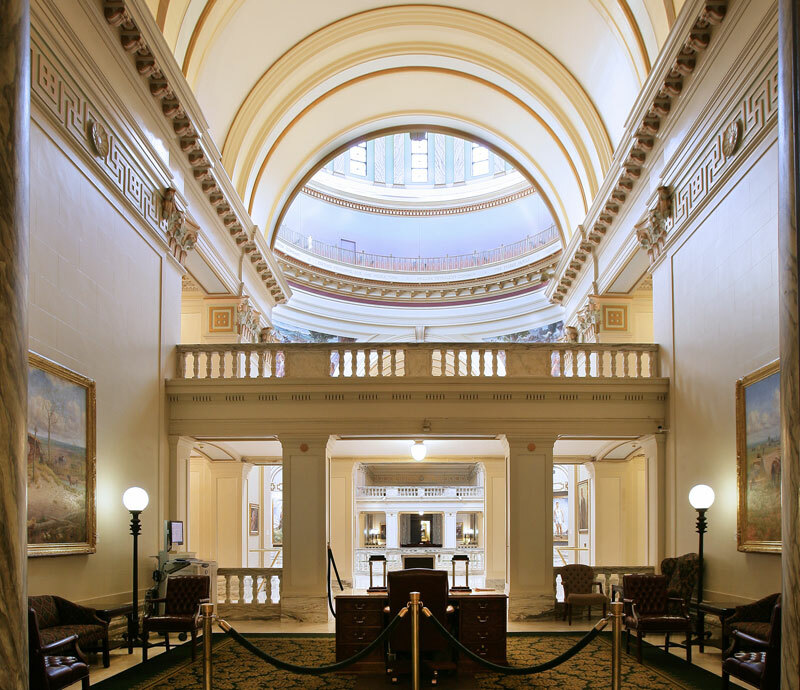 OKLAHOMA CITY – Legislation approved by the Oklahoma House of Representatives would implement better intervention efforts when students are identified as needing counseling. 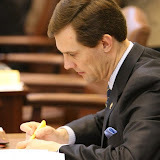 House Bill 2641, by state Rep. Lee Denney, creates the Twenty-first Century Successful Living Act. The legislation would require the Office of Juvenile Affairs and the Oklahoma Association of Youth Services to identify an evidence-based counseling curriculum for schools. Under the bill, the Office of Juvenile Affairs would make the counseling available to students and school districts through designated youth service agencies. If the bill becomes law, each of the existing 41 youth services agencies would train two staff and deliver services to approximately 75 students, for a total of 6,150 students served in the coming fiscal year. During the second year of the program, the number of students served would double to 12,300. During the third year of the program, the agency expects to serve 18,450 students. House Bill 2641 passed the Oklahoma House of Representatives on a 70-15 vote. It now awaits a hearing in the state Senate. 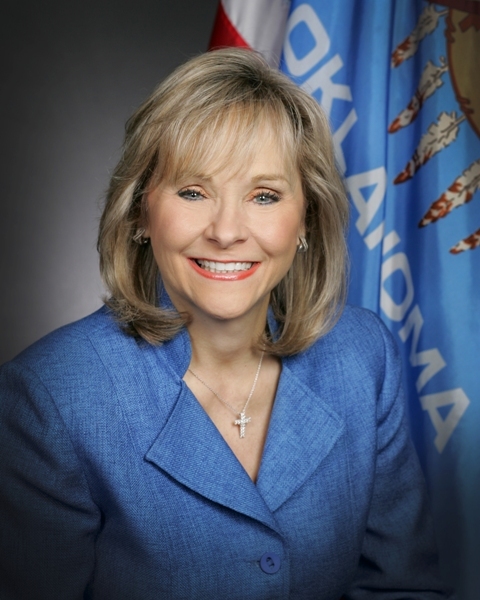 OKLAHOMA CITY – Welfare recipients would be required to submit to drug testing as a condition of eligibility under legislation approved by the Oklahoma House of Representatives today. House Bill 2388, by Liebmann, would require applicants for the Temporary Assistance for Needy Families (TANF) program to submit to, and pay for, a drug test. Speaker Kris Steele, R-Shawnee, supported the measure. Individuals who test positive for drugs would be ineligible benefits for one year unless they successfully complete a substance abuse program within six months. Should a parent test positive for illegal drugs it would not affect a dependent child’s eligibility for the program. An estimated 40,634 potential TANF applicants would be impacted by the legislation. Florida already has a similar law on the books and the Georgia Senate recently passed a similar bill. When Florida implemented its law, the state saved nearly $1 million in the first month of implementation. 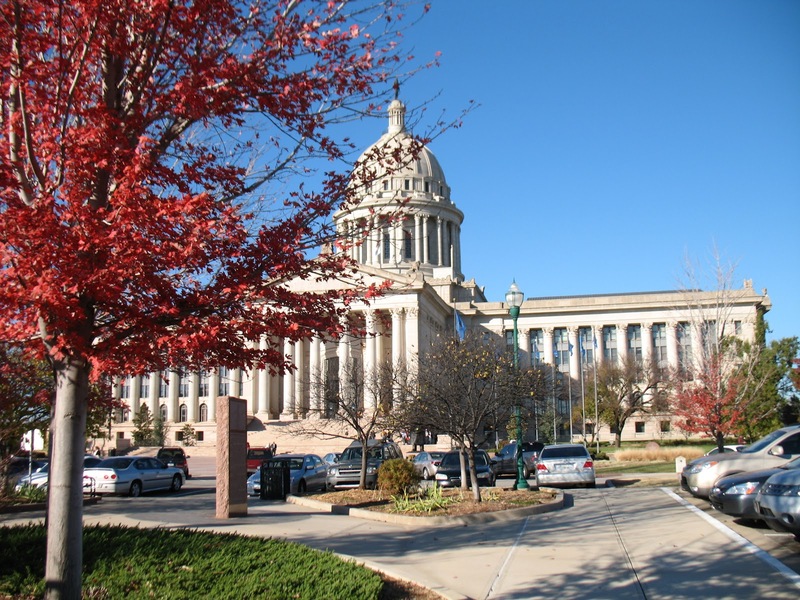 It is estimated that Oklahoma could save $582,203 if House Bill 2388 becomes law. House Bill 2388 passed the Oklahoma House of Representatives on a bipartisan 82-6 vote. It now proceeds to the state Senate. OKLAHOMA CITY – Legislation approved by the Oklahoma House of Representatives would encourage greater access to health care in the form of charitable clinics. House Bill 2521, by state Rep. Sally Kern, redefines a free clinic as a charitable clinic and limits liability for volunteer physicians and other health care providers working at the clinic. The legislation defines a charitable clinic as a nonprofit entity organized for the purpose of providing health care services at no charge or for a minimal fee. The legislation addresses where volunteer health care providers can offer their services, Kern said. House Bill 2521 passed the Oklahoma House of Representatives on a 91-0 vote and now proceeds to the Senate for consideration. “Today’s supplemental funding measures will help to ensure the state of Oklahoma is keeping its commitment to our teachers, protecting our citizens by putting more troopers on our state highways, and providing necessary assistance to communities hard-hit by natural disasters. It also provides necessary personnel and equipment upgrades at the Office of the Chief Medical Examiner, helping to put that agency back on a path to accreditation. 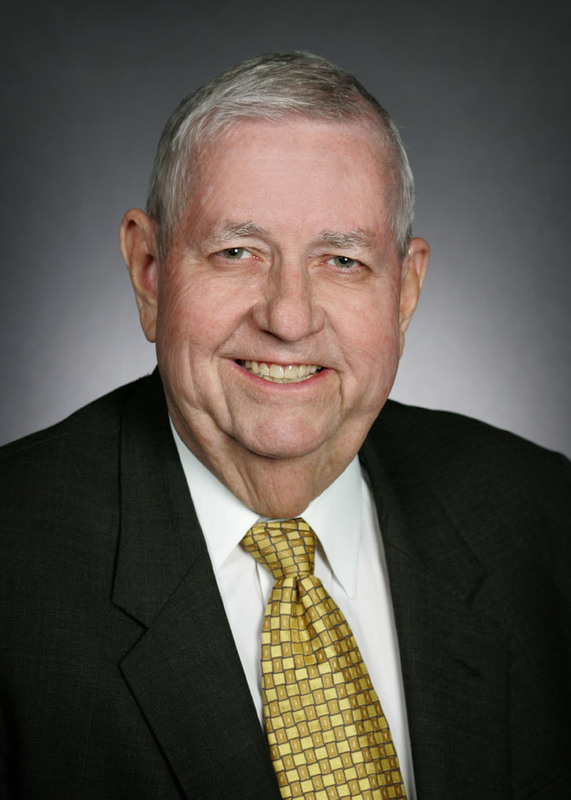 SB 1959, authored by Sen. Clark Jolley and Rep. Earl Sears, includes emergency funding provisions for natural disaster assistance to local communities, counties and other qualified entities ($34.1 million); insurance benefits for teachers and support staff ($37.6 million); a trooper academy for the Department of Public Safety ($5 million); personnel and equipment for the State Medical Examiner’s Office ($1 million); and funding for teacher National Board Certification bonuses ($14.8 million). OKLAHOMA CITY – Over $853 million in unnecessary state government spending of taxpayer dollars was outlined today by a group of lawmakers who want to use the savings to make Oklahoma a no-income-tax state. The group is advancing a proposal to phase out Oklahoma’s personal income tax over 10 years. The group’s proposal aims to achieve full phase-out of the tax without raising other tax rates, negatively affecting core state government services, or harming retirees, senior citizens or veterans. To do so, the lawmakers say their proposal requires a total of $525 million in total reductions in state government outlays that must be found over a two-year period. Because the savings can be found over two years instead of just one, annual savings found for Fiscal Year 2013 could also be counted again in Fiscal Year 2014 toward the total savings necessary. In offering a list of $853 million in total savings options over the next two budget years, the lawmakers maintain there is plenty of room to reduce wasteful, unnecessary state spending while avoiding cutting core services, and still put Oklahoma on track to become the tenth state in the nation without a personal income tax. The list of $853 million over two years includes savings from three areas: wasteful, inefficient or unnecessary state expenditures; corporate tax credits that have not exhibited a high enough return on taxpayer investment; and modernization, consolidation and technology reforms within state government bureaucracy that are still in the process of being implemented. Newell said the goal in releasing the list was to compile credible savings ideas from several sources. Working from this list, the lawmakers hope to encourage their colleagues to build a consensus around which areas of nonessential state spending could be trimmed over the next two years. One source lawmakers credited was the work in recent months by state Rep. David Dank, chair of the House Appropriations & Budget Subcommittee on Revenue & Taxation, and state Sen. Mike Mazzei, chair of the Senate Finance Committee, to bring attention to ineffective corporate tax credits. Another acknowledged source was a recently released list of state budget reduction ideas from the Oklahoma Council of Public Affairs (OCPA), a free-market think tank. State Rep. Charles Ortega said he and his colleagues, when examining the savings recommendations from these and other sources, adopted some and left others for another day. A Supplemental Investigative Report of the Oklahoma Department of Education was released by the State Auditor and Inspector this afternoon. The State Auditor performed the investigation at the request of current State Superintendent Janet Barresi. The audit covers the period of time from July 1, 2008 through June 30, 2011. An initial report was released on January 4, 2012. The report released today is a supplemental report addressing additional concerns identified during the first investigation. We performed a special audit/investigation, pursuant to a request by the Department of Education (OSDE), in accordance with the requirements of 74 O.S. 2001, § 227.8. The concerns we investigated included concerns related to travel claims filed by a now former OSDE official. We have previously issued a report related to those concerns. During our investigation of the circumstances surrounding the official’s travel claims, we obtained records from a hotel which included a check on an account that, although not an authorized account of the State of Oklahoma, listed an address of 2500 N. Lincoln Blvd, Oklahoma City, the address of the Oliver Hodge State Office Building where OSDE is located. We began an inquiry to determine who or what entity was using a bank account listing the address of a State Office building. Through our inquiry we identified three accounts being managed by OSDE employees that were not official accounts for the State of Oklahoma. Over a period of years OSDE employees have been soliciting and receiving donations and/or receiving funds for booth space rental at various conferences then depositing those funds in accounts purporting to be accounts belonging to a private nonprofit organization. The Oklahoma Curriculum Improvement Commission (OCIC), is a non-profit organization whose board members were aware that OSDE officials were managing one account, an operating account, but were not aware OSDE officials had opened and were operating two other accounts under the OCIC name. From interviews with OSDE officials and employees, as well as records we obtained, it appeared not only were the OCIC board members unaware of the accounts, but some of the OSDE officials may have deliberately concealed those accounts from the OCIC board of directors. These off-book and unauthorized accounts allowed OSDE officials to pay, at a single event, $2,600 for 85 bottles of wine and 3 kegs of beer and $5,700 for food items including a “chocolate fountain,” “Maryland crab cakes,” “mini beef wellingtons,” and “smoked salmon mousse in a puff pastry,” without following any of the requirements normally associated with government expenditures. Later, as the accounts were being separated, OSDE employees orchestrated the movement of $14,899 from one “OCIC” account to another “OCIC” account. Then arranged for another third party entity, the Oklahoma Director’s of Special Services, to create another third party account and moved the money to that newly created account. The Oklahoma State Auditor and Inspector (OSAI) is the independent financial oversight body responsible for auditing the books and financial records of OSDE. These accounts were not audited by the OSAI because the existence of the accounts had never been disclosed to OSAI. The accounts were not official accounts for the State of Oklahoma and would not have appeared on any official listing of the OSDE accounts. A “slush fund” is typically regarded as an unregulated fund that has little if any oversight and which can be used with little or no accountability. The accounts we identified appear to have been operated as slush fund accounts allowing OSDE officials to issue payments shielded from governmental oversight as well as public scrutiny. Over a period of 10 years, in excess of $2.3 million has been expended from these accounts. 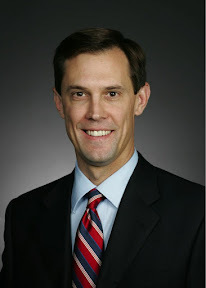 The Oklahoma State Auditor is responsible for investigating irregularities in governmental agencies and routinely performs financial investigations into questionable matters concerning the operations of state and local governments. However, the Oklahoma State Auditor lacks the authority to perform special or investigative audits unless requested to do so by other statutorily defined offices. We have reported the results of our limited inquiry into these accounts, identified additional concerns related to the accounts, as well as the actions and activities of the state employees involved with the accounts. 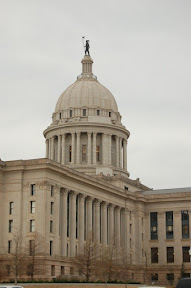 OKLAHOMA CITY (March 6, 2012) – Lawmakers have voted to clarify the process for exempting certain children from the requirement that all third grade students read at grade level or face retention under a law ending social promotion. House Bill 2516, by state Rep. Sally Kern, amends the Reading Sufficiency Act to require clear documentation of the need for an exemption and makes administrators explicitly responsible for justifying those decisions. 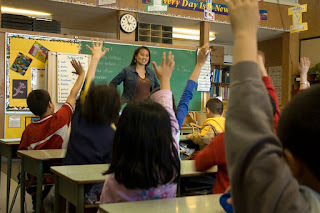 Under current law, third-grade students may be exempted from retention if they are limited-English-proficient students with less than two years instruction in English or if the student has been diagnosed with a disability and placed on an individualized education plan (IEP). Also exempted are students who successfully complete an alternative standardized reading assessment approved by the State Board of Education or those who demonstrate grade-level reading mastery through a student portfolio. Students who have received intensive remediation in reading for two or more years and those who have previously been retained up to two years in prior grades are also exempted. Under House Bill 2516, students may be exempted from retention if the principal recommends it based upon alternative assessments or portfolio work. The superintendent would be required to explicitly approve or reject that recommendation in writing. The bill also allows teachers to recommend promotion of students contingent upon participation in a summer academy or other program. 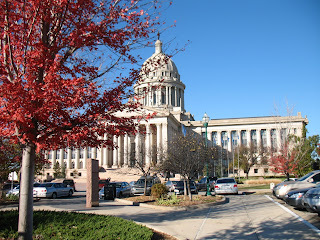 House Bill 2516 passed the Oklahoma House of Representatives on a 93-1 vote today. It now proceeds to the state Senate for consideration.